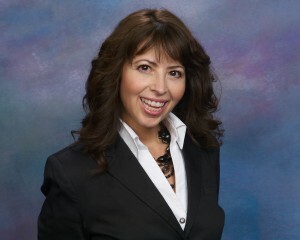 Radio personality Raaki Garcia brings the free-market message to her Spanish-speaking listeners (raakigarcia.com). Embracing the Audience’s Language. Through The Raaki Garcia Show, Colorado’s Independence Institute reaches an audience the freedom movement often finds elusive: Hispanics. It’s the state’s only Spanish-language conservative talk radio show and Colorado’s top-rated radio show for the past year. “Hispanics from Mexico, Central, and South America grew up listening to talk radio . . . . It’s part of our culture . . . . We don’t grow up watching TV,” explains Garcia, who doubles as the Institute’s Hispanic Education Coordinator. By hosting guests who can clearly explain policy issues, Garcia has both expanded her listenership and changed minds. Amendment 66, a $1 billion tax increase for education, is a prime example. Colorado’s liberal establishment supported the tax increase. After economists explained the amendment in laymen’s terms and Garcia did personal outreach to clergy, her listeners increasingly opposed the bill, which contributed to its defeat last fall; this, in spite of opponents spending much less on advertising than did supporters. Garcia encourages other think tanks to start similar shows, lest they miss a huge, and growing, audience. To do it properly, she suggests finding a host who is already known, respected, and trusted within the local Hispanic community. Ideally, the host would both speak Spanish fluently and ethnically reflect the local majority Hispanic population (e.g., Cuban or Mexican). The think tank would then identify what new and relevant information they could share with the Hispanic community, whether that’s tax credits or education policy. Righting the Record. Washington Policy Center’s latest outreach innovation is their Young Professionals (YPs) group. The YPs’ mission is engaging and empowering the next generation of free-market leaders, who are currently young professionals or college students. Toward that end, they combat misinformation about public policy issues, as well as offer the other side of stories students typically hear. The YPs have focused their attention on the minimum wage this year, since Seattle voters will decide whether to raise it from $9.32/hour, the nation’s existing high-point, to a record-breaking $15/hour this November. As part of its voter education program, WPC hosted two minimum wage panels featuring the Heritage Foundation’s Steve Moore and the Center for American Progress’ Sarah Jane Glynn. Both panels were well-attended and garnered significant press coverage. WPC asked the 20–40 year old attendees about increasing the minimum wage both before and after the debates; opposition increased to 65% post-debate. Development Coordinator Sydney Jansen notes, “It’s tough to get young people’s attention and to keep it.” For that reason, the YPs, who have an active board, pick topics from the headlines that directly affect young people. Word-of-mouth has been the YP group’s best recruiting tool. “This group can really have an impact on this demographic. . . . we’ve definitely created a spark among young people,” says Jansen. Putting People Before Politics. Georgia Center for Opportunity (GCO) has a history of bipartisanship, having collaborated with non-traditional partners on school choice and strengthening families. In mid-2012, after examining Georgia’s incarceration and recidivism rates, GCO was drawn to the issue of prisoner re-entry. Nationally, one out of 31 adults is under some form of correctional supervision, including probation or parole; in Georgia, it’s one out of every 13. GCO’s research culminated in the development of a nine-person policy reform working group, which has met monthly for a year. The group reflects the political spectrum, but members’ shared enthusiasm has helped them find common ground. So far, three of the group’s seven proposed reforms have been included in legislation the Governor signed into law, and the Governor has implemented two others through state agencies. Senior Vice President Eric Cochling believes GCO has succeeded because they pursue a positive agenda and work collaboratively with unorthodox partners to “move the needle by helping people.” For others interested in such efforts, Cochling cites several benefits: GCO has reached new audiences, developed a new narrative for free-market groups, and humanized themselves in the eyes of former adversaries. On the other hand, think tanks risk losing some control of their organization’s messaging and agenda if the working group is not well managed. Some traditional supporters may also grumble, worried their allies are selling out. Therefore, reassuring existing supporters that this is an approach for implementing the think tank’s core values, rather than an about-face, is important. Prioritizing Kids. Kansas Policy Institute built a coalition of independent religious schools, special needs advocates and tutors, African-American pastors, and urban groups to advocate for increased school choice. Vice President and Policy Director James Franko explains that the coalition grew by serendipity, as each interested person introduced KPI to others. The coalition includes individuals who may typically disagree with KPI; as long as they agree about school choice, KPI welcomes them. To build this coalition, KPI identified what their non-traditional partners wanted to accomplish and then helped them achieve those goals. KPI staff regularly visited partners at their schools and churches and educated any political novices about the state’s policy process. The coalition’s first win was the creation of a corporate tax credit scholarship program for at-risk children in Kansas’ 99 worst schools—not districts—as identified by Kansas’ Department of Education. KPI’s partners led the public fight, while KPI served as a facilitator. Next year, the 18-month-old coalition will propose multiple reforms to Kansas’ part-time legislature, including expanding charter schools and establishing education savings accounts modeled on Arizona’s. Finding new allies has required leaving KPI’s ideological comfort zone and investing time to make lasting, personal connections. Franko explains, “It’s a willingness to talk to anybody with no real expectations or litmus test for what it takes to be worthy of a cup of coffee or casual conversation.” New relationships are mutually beneficial, as certain coalition members can reach legislators who traditionally ignored KPI. For those interested in coalition building, Franko notes teams are more likely to pass laws or implement policy changes. Donors also like seeing new, viable strategies implemented. Regarding challenges, the potential for failure in any personal interaction is real; don’t take it personally or let it halt the effort. Early meetings are about trust building, so think tanks must be prepared to answer questions about their ideology, funding, and motives. By demonstrating good faith and genuine interest, think tanks can radically expand their circle of allies and influence. This article appeared in SPN News.